Senior citizens’ rights advocate and election lawyer Romulo Macalintal filed his certificate of candidacy for senator, marking his first attempt to run for public office. “MacaRomy” at 71 years old, vowed to push for bills for senior citizens and persons with disabilities. He seeks to lobby more benefits and privileges to senior citizens and to uphold their rights especially most senior citizens are not working anymore and need special health care. In 3 separate cases filed by Romulo Macalintal in 2013 and 2014, he sued several business establishments which denied to give discount for senior citizens on certain technicalities such as lack of senior citizen ID despite having other government issued IDs and denial of discounts on top of paid privilege cards. Five-star Sofitel Hotel in Pasay City was sued for denying him his 20 percent senior citizen’s discount on top of the Sofitel Accor Advantage card, which he pays P8,800 a year for the card. Owners and operators of Café Mediterranean in Resorts World and Black Canyon Coffee in Las Pinas sought public apology and a P40,000 donation for charities catering to senior citizens after being sued for denying senior citizen discount on seniors without the Senior Citizen ID. RA 9994 or the Expanded Senior Citizens Act allows the use of other identification cards like driver’s license, voter’s ID, SSS, GSIS, and other government issued identification documents, if the senior citizen could not present his Senior Citizens card issued by the Office of the Senior Citizens Affairs Office, to avail of the privileges under the law. ✔️To pool together some unused or unclaimed senior citizens’ discount, more specifically on the mandatory 5-percent discount on grocery items, electric and water consumption. He added the amount is enough to build almost every year a home for the aged or modern medical facilities for senior citizens. “Dapat bigyan ng libreng sine para sa mga senior citizens sa buong bansa kasi kaming mga senior citizens kapag nanood kami, may kasama kami 2 o 3 apo na magbabayad. Kikita ang sine,” he said. ✔️To expand cash grants for Filipino centenarians. Filipinos “beyond 100 years old” should also be given P100,000 for each birthday. “Ilan lang ba ang makakarating diyan (Just how many could reach that age)? Its benefts will trickle down to the sons, daughters, grandchildren of senior citizens,” he said. ✔️To give bigger discounts for senior citizens. Senior citizens, or those 60 years old and above, already enjoy a 20% discount on food and medicine. Senior citizens who reach 70 years of age should receive a bigger discount – 30%. Meanwhile, those who reach 80 years of age should get a 40% discount, while those 90 years old and above should have a 50% discount on medicines and medical services. He said the P100,000 should be given in tranches – the first P30,000 when a person reaches 80 years old, the next P30,000 when the person reaches 90, and the remaining P40,000 when the person reaches 100. “And every year beyond 100, give them P100,000,” he said. ✔️To bat for the passage of a mandatory retirement age at 70 both in the government and private sector. Macalintal said most senior citizens are forced to retire at 60. They are compelled to retire even if they are still capable to work. Legacy truly is leaving something behind even if you have gone ahead. These bills if passed will benefit the sector needing special attention. November 7, 2018 is a momentous day for the people of Pateros as the Jose T. Capco Street in Barangay Sta. Ana is inaugurated and opened to the public. After more than two decades of waiting and hoping for this project to be realized, the newly opened street will serve its purpose to ease out traffic and provide access to residents in and out of the villages in Sta. Ana. We extend our gratitude to everyone, who from the planning stage to its execution has participated and gave their efforts for this project. When it comes to Advancing and Transforming Pateros to become a Solar City, the Calriger SolarRev Generator System owned by Mr.Giancarlo Capco brings industrial SolarRev Generator and solar street lights technologies for this small town with a big heart and great developers. The lead developer for the SolarRev Generators and the Pateros Solar Powered Facility is Mr.Giancarlo Capco, he is known for his invention the SolarRev Generator which originated in the event the Search for the Best Entrepreneurship Student of the Philippines which was won by Mr.Capco and also the International Business Plan Competition of the World held in Harvard Business School USA which Mr.Capco was the head representative of the Philippines together with his solar ready Sanitary Aqua Vendo Unit Invention. Recently, Mr.Capco together with his Calriger And Capco Business Development Group the SolarRev Contractors did a Historical installation of Industrial Solar Street Light also known as the SolarRev TerraLite with heavy duty steel post in Pateros Metro Manila, also known as the Solar Town of the Philippines because of various solar projects in the area of Pateros. This is the day where these industrial solar lights will give bright light to the people of Pateros passing by our Solar Powered Facility in the M.Almeda Street for their safety and convinience. After our various projects around the Philippines, we want to give our technologies by sharing them to the Pateros community thru our free lectures about the SolarRev Generator setup, anyone is welcome to visit our Solar Powered Facility to learn about it or invite us to share what we know to your community. Various solar projects emerged in the small town of Pateros Metro Manila and the efforts of its town people and its government are making Pateros to be know as a green Solar City. 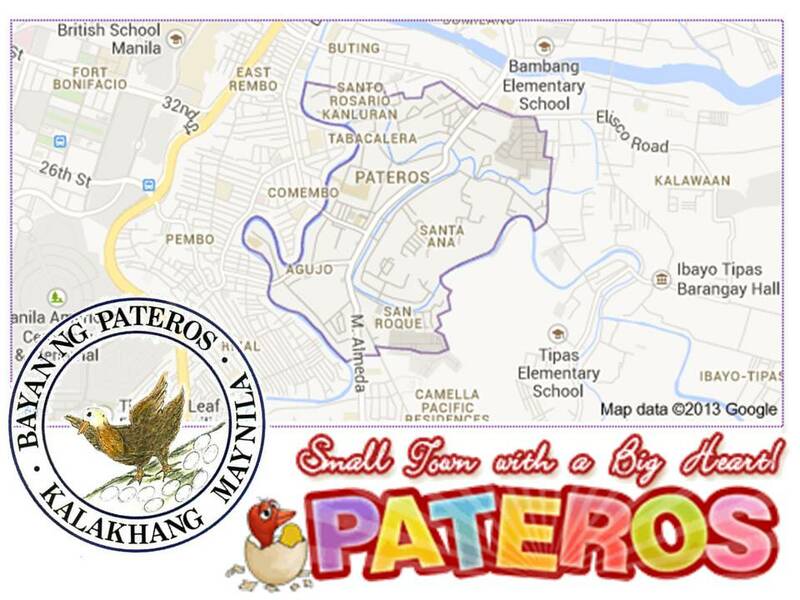 The Town Pateros is know for its Balut but now its making a new name as a Solar City/Solar Town.